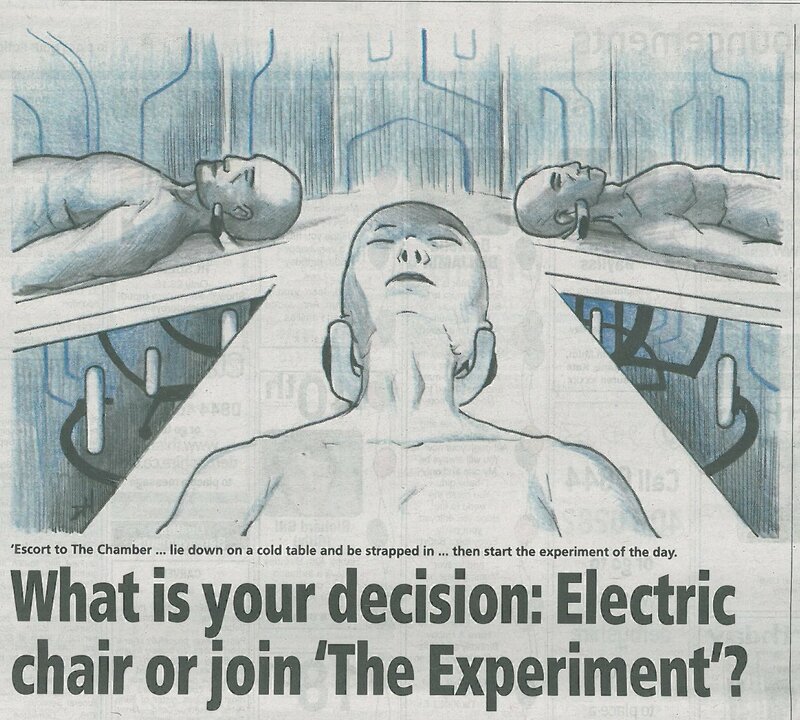 So my short story ‘The Experiment’ made its debut this past Saturday in The Derby Telegraph. This is exciting and you can read ‘The Experiment’ online at the This Is Derbyshire website. ‘The Experiment’ is really an experiment on several fronts: I’m writing science fiction, and there is an experiment in the story. I have plans to expand upon the much abridged version now published in The Derby Telegraph. Many kudos to author Neal James for connecting me to The Derby Telegraph, Steve Hall and Jane McFarlane at The Derby Telegraph, and also especially to David Hitchcock for his original artwork for the story. Original artwork for ‘The Experiment’ by David Hitchcock. Previous postWhat is my writing style? I'll join the experiment. Good work . Keep writing. Thanks, glad you liked it. It's a fun one to write, and there is a significant amount more to the story, but for my submission to The Derby Telegraph I had to keep it under 1,500 words. The artwork by their artist was fantastic too. Yeah , the artwork has 70's to 80's look.